LOS ANGELES, CA, UNITED STATES, October 15, 2018 /EINPresswire.com/ — New York, NY, MadMen at Work, led by a team of video game veterans, today announced a co-production and publishing agreement with Splash Entertainment to create kid-focused mobile games based on upcoming animated TV series. The MadMen at Work team is comprised of leading game designers, developers, marketers and publishers, each with over 20 years of experience in the video gaming industry. Collectively the team has been responsible for over $6.5 billion in revenues and have been members of teams who have brought to market top game blockbusters such as Halo, Warcraft, Half-Life, and renowned kids hit titles such as Animal Jam, Crash Bandicoot and Spyro the Dragon. The team has been assembled to develop, and publish kids' game titles exclusively for Splash Entertainment’s upcoming portfolio of animated TV and Film properties. 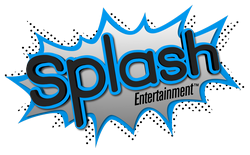 Based in Los Angeles, Splash Entertainment specializes in children’s entertainment as an innovator, developer and producer of original animated television series and movies. Among Splash Entertainment’s vast portfolio are top brands such as Chloe’s Closet, Dive Olly Dive, Sabrina: Secrets of a Teenage Witch, and their animated family feature film Norm of the North®. Splash has produced animated series for a number of high profile brands, such as Care Bears™, Lalaloopsy™, Strawberry Shortcake™, Bratz®, Zhu Zhu Pets®, Clifford The Big Red Dog™ and He-Man Masters of the Universe™. Splash Entertainment also owns Kabillion and Kabillion Girls Rule!, which is a Top Ten ranked, U.S. Kids Free On Demand TV Network, reaching 60 million U.S. households. The MadMen at Work team is well-rounded across the full spectrum of video gaming and is no stranger to creating superior games based on film and TV properties. Nicholas Longano, helmed Universal Interactive, and launched such game titles as Lord of the Rings, The Hulk, The Cat in the Hat, Buffy the Vampire Slayer, Chronicles of Riddick, and Simpson’s Hit and Run. He also created the in-game advertising market as President and CMO of Massive Incorporated. Jim Veevaert was President of Jerry Bruckheimer’s video game studio, and General Manager at Zynga’s Seattle studio, IGT and has decades of game leadership at Microsoft Games and Sierra Studios. Overseeing game design is Chris Mate, who has launched over 100 games while holding executive positions at Nat-Geo, Take-Two and Bethesda Software and has a special knack for integrating kid-centric content, brands and licenses into successful games. The team’s game studio is led by Demetrio Cuzzocrea, who was a creator and producer of Stan Lee’s Ball Wars AR game and Jay Powell, who has dozens of kids’ licensed game titles under this belt, including Garfield, Holly Hobbie, Strawberry Shortcake and a wide selection of Disney properties. Driving the strategic partnership efforts for the game group will be Ten-Ten Media team helmed by Lisa Osinloye and Simone White. The MadMen and Splash Entertainment collaboration will debut its first mobile game title in 2019. MadMen at Work’s philosophy on game building is quite simple…working with leading Film and TV studios to develop the most compelling user experiences, which are innovative, and authentic to each property. We bring to life the vision behind each property, and engage fans beyond the screen. The team has worked together over the past two decades ( in the video game industry) in C-Level publishing, and key development roles. Seven game making veterans have joined forces to bring to market leading-edge, and compelling mobile game experiences for our Film and TV studio partner – Splash Entertainment. Splash Entertainment is an innovator, developer, and producer of original animated television series and movies with brands that are implemented across all media. The company’s library (over 680 half hours) contains content airing in more than 180 territories worldwide. In partnership with Magic Carpet Productions, Splash Entertainment has just completed work on Mariah Carey’s 1st feature length animated motion picture All I Want for Christmas is You™ to be released this holiday season by Universal 1440 Entertainment, a production entity of Universal Studios Home Entertainment. Splash Entertainment’s newest productions include the second season of the Netflix Original Series Kulipari®, four more full length features based on the Norm of the North® film and three 45 minute specials in the Alpha and Omega franchise. Previous Previous post: Introducing TR70 – High Brightness RGBLA Stage Light with single optic blended beam in a small and light form factor.